A provocative new novel about birth, death, and the stuff in between, from the award-winning author of Catching Genius. Thanks to modern reproductive technology-and the gift of her friend Cora's eggs-Ali Gutierrez is the mother of a fourteen-year-old daughter. Now, yearning for a second child, Ali asks Cora's permission to use another of the frozen embryos that have been stored away in anticipation of this decision. But Cora has a secret that could not only change Ali's plans for the future, but tear apart her life right now. 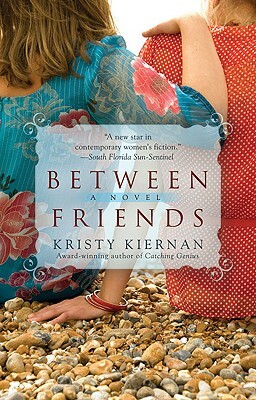 Kristy was born in Tennessee and raised on the beaches of southwest Florida, where she still resides with her husband, Richard, and their dog. Her first novel, Catching Genius, was published in March of 2007 and has become a book club favorite. Her second novel, Matters of Faith, was published in August of 2008 and has garnered great review coverage. The author has used alternating points of view in her previous novels as well as in this one. Why do you think she makes that choice here? Benny and Ali’s relationship takes a nasty turn during the long drive out to northeast Golden Gate to pick up Letty. Do you think Benny has issues with the decisions that Ali has made as a mother and a wife? What are they, if so? Discuss Ali’s strong desire to have a second baby fifteen years after her first child. Is it selfish for one spouse to adamantly oppose having another child when it’s clear that the other truly wants to have one? Benny tells Ali, “I’m willing to at least talk about it if you really want another baby.” Do you think he is being earnest or is this a manipulative ploy to get Ali to return home? After Letty hears her parents talk about having another baby, she accepts Seth’s invitation to go to Venice Beach. Do you think her decision to skip school with Seth is partly motivated by a need for attention from her parents? Does Letty strike you as a typical fifteen-year-old girl? Do you think it was appropriate for Ali to hold off sharing the news with Benny that their daughter has been sexually? How would you handle a similar situation? Would you want to know if you or your child has a gene that carries a life-threatening disease? Ali admits, “I wanted to believe that I brought something to the table, and I thought I’d gotten the opportunity. The only person in the world who could have stopped me from lying right down on the table and insisting they take my kidney now was Letty.” If you were given a gift like the one that Ali received from Cora, short of giving her a kidney, would you feel like you could never fully repay your friend? Cora says about Drew’s proposal, “If I were going to commit to a friend, then I had a friend with a tighter grip on my heart and history than Drew.” Do you think she would feel the same if she were truly in love? And is she thinking of Ali or Letty? Which one of them holds the tighter grip on Cora’s heart? Letty tells Cora, “[Mom] is right. He was there because of me. I asked him to go. This is, I mean, it really is my fault. It’s my fault.” Do you think Letty will carry this guilt forever? Or do you think she’ll most remember her last conversation with her dad? At the conclusion of Between Friends, what is revealed about Cora and Benny’s relationship? The struggle for control is a constant theme throughout this novel. What do you think is the author’s final message on this topic? Aside from Ali and Cora, what other friendships illustrate the book’s title?